There are many, many different pieces of legislation that may relate to renting a property, a lot of which can be rather confusing when it comes to application. 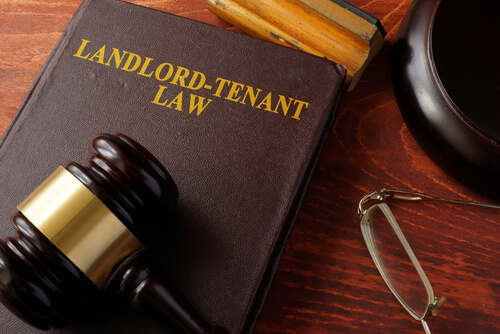 While there is a wealth of laws and guidance that can affect landlords, in today’s article we are going to focus on the key pieces of relevant legislation that affect landlords in the UK. Read on to find out more, or contact a member of our lettings team for information and guidance on 01793422833. Most of the legislation pertaining to renting a property is health and safety related and enforced by the Health and Safety Executive (HSE). Maintaining all gas appliances, pipework, flues, etc. Ensuring they meet the manufacturers’ safety recommendations and are checked on a regular basis. Assessing all gas installations to ensure they have been maintained to meet safety standards. Arranging annual tests and inspections by a registered engineer from the official Gas Safe register. Keep accurate records of inspections for a minimum of two years. A copy of these records must be made available to tenants within 28 days of carrying out safety checks or for new tenants, prior to their moving in date. If these conditions are not met, your landlord’s insurance could become invalid. HSE is responsible for overseeing these regulations and places a high priority on their fulfilment. If you are found to be in violation, you can face a fine or even imprisonment. The Gas Safety (Installation and Use) (Amendment) Regulations 2018 now allows landlords to have gas safety records completed a maximum of two months earlier than the required date, without facing any penalties, as had been the case previously. The Smoke and Carbon Monoxide Alarm (England) Regulations 2015 require that each property have at least one smoke alarm installed on every storey. Additionally, there must be a carbon monoxide alarm installed in any room where there is a solid fuel burning appliance, e.g. a wood burning fire. At the beginning of each new tenancy, the landlord must make sure all alarms are in full working condition. A landlord must ensure all electrical appliances and installations in the rental property are maintained to a safe standard throughout the length of the tenancy. This includes sockets and light fittings, appliances such as washing machines and refrigerators and any other electrical installation in the property. Electrical appliances must have the CE (European standard) marking as a minimum requirement to show it conforms with European health, safety and environmental standards. Each property should have an Electrical Safety Certificate, which can be issued by a certified electrician, as evidence that all electrical appliances and installations are in adequate working condition. As a landlord in the UK (excluding Scotland), you are not legally required to have one of these, however it is recommended. If your property is classed as a House in Multiple Occupation (HMO - see section below), you are required to arrange an inspection every five years. Failure to comply with these requirements can result in invalidated insurance, a hefty fine, criminal charges and imprisonment. The Housing and Planning Act 2016 is set to introduce new powers to authorities to set and enforce more stringent electrical standards on the private rented sector, with potential fines up to £30,000, so it is definitely worth ensuring all your electrical safety is up to code. The Regulatory Reform (Fire Safety) Order 2005 sets out the landlord’s legal obligations to ensure fire safety in rental properties. The Furniture and Furnishings (Fire) (Safety) Regulations 1988 (amended in 1989 and 1993), … that any fabrics covering furniture and furniture fillings must have passed a match resistance test. The regulations also require any upholstery and fillings to pass a cigarette resistance test. Following the launch of the legislation, most furniture manufacturers made sure their products were already in compliance with the law. Therefore, most furniture bought after 1988, is likely to adhere to this legislation and will usually have a tag or label detailing this. Furniture and furnishings covered by the legislation includes armchairs, sofas, beds and any nursery furniture such as cribs. Items such as duvets, carpets, curtains or any antique furniture bought before 1950, is not included. 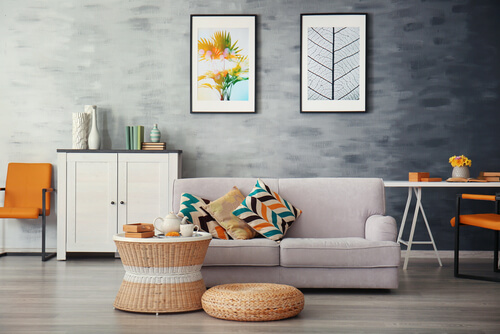 If you are planning to let a furnished property, it is important to check any furniture complies with these requirements. The Housing Act 2004, sets out the Housing Health and Safety Rating System (HHSRS) requirements, giving local authorities leave to assess the condition of a property and any potential hazards. The government has put together some guidance for private landlords to help them understand their obligations under the HHSRS. The Energy Efficiency (Private Rented Property) (England and Wales) Regulations 2015 require landlords to ensure their properties have an Energy Performance Certificate (EPC) rating of at least E, before their property is eligible to rent to new or existing tenants. Section 3 of the Health and Safety at Work Act 1974, includes provision for landlords, requiring them to show a duty of care to their tenants when it comes to relevant health and safety legislation. Therefore, landlords should ensure tenants are not exposed to health and safety risks when renting out the property. Landlords are also subject to certain requirements from the Control of Substances Hazardous to Health Regulations 2002, which offer a list of actions landlords should take to control the risk from hazardous substances, including Legionella, which cases Legionnaires’ Disease. Landlords should carry out risk assessments and take steps to manage or eliminate the risk. Under Section 11 of the Landlord and Tenant Act 1985, landlords are required to keep the property being let in adequate repair and working condition (excluding damage caused by tenant negligence). Any repairs must be carried out within a reasonable time frame, or the tenant may have the right to withhold rent until repairs are completed. If the property houses more than five people, sharing facilities and making up more than one household, in a building over two storeys high, it is classed as a ‘large HMO’ and will need to first be licensed by the relevant local authority. Suitable waste disposal facilities to be provided. The General Data Protection Regulations (GDPR) came into force in the UK in May 2018 and, contrary to what you might think, they do apply to private landlords. If you are found to be in violation of GDPR, you could be subject to a fine of up to four percent of your turnover (or up to 20 million euros). If you hold information on your tenants you will need to register with the Information Commissioners Office. You will then need to provide a list of the type of information you hold (such as the personal details of your tenants) and where it is held. If your lettings agent holds the information, you must be sure that they are GDPR compliant in their data handling. You must have permission from your tenants to use their data for the purposes which you use it, so make sure any tenancy agreement includes appropriate data protection provisions or a privacy notice. According to the Immigration Act 2014, under the new Right to Rent Scheme, landlords are responsible for verifying the immigration status of a potential tenant before letting to them. If they fail to do this, they can be subject to penalties of up to £3,000. The government website features guidance for landlords, including appropriate steps to take to comply with legislation. Landlords renting a property under an Assured Shorthold Tenancy, are required to place tenants’ deposits in a tenancy deposit protection (TDP) scheme within 30 days of receiving the deposit. If you wish to evict your tenant, you must follow the regulations laid out in the Housing Act 1988. If you do not follow the correct procedures, you may be found guilty of harassing or illegally evicting the tenant/s. If you are renting out your property on an Assured Shorthold Tenancy, there are two types of notice required to evict a tenant who refuses to leave. A Section 21 eviction notice is required if you wish to take possession of the property after the fixed term tenancy ends. A Section 8 notice can be used for tenants who are in breach of the terms of the tenancy. A possession order may be sought if the tenant fails to leave after a Section 21 notice is issued. For further information, read this handy guide from consumer charity Which on evicting a tenant. For a full list of legislation that features further provisions relating to landlords, see this guide from the National Landlords Association. A lot of this might seem a bit intimidating, but by working with an experienced, accredited lettings agent who can guide you through the relevant conditions that must be met, you can rest assured that you and your property will be adequately protected. Speak to one of our experienced lettings team for information and advice on letting your property in Swindon. Call today on 01793422833 or complete our online contact form. With Castles, we can guide you every step of the way. Stay tuned for more in our series on letting a property. To read our guide on Starting out as a Landlord, visit our previous post.